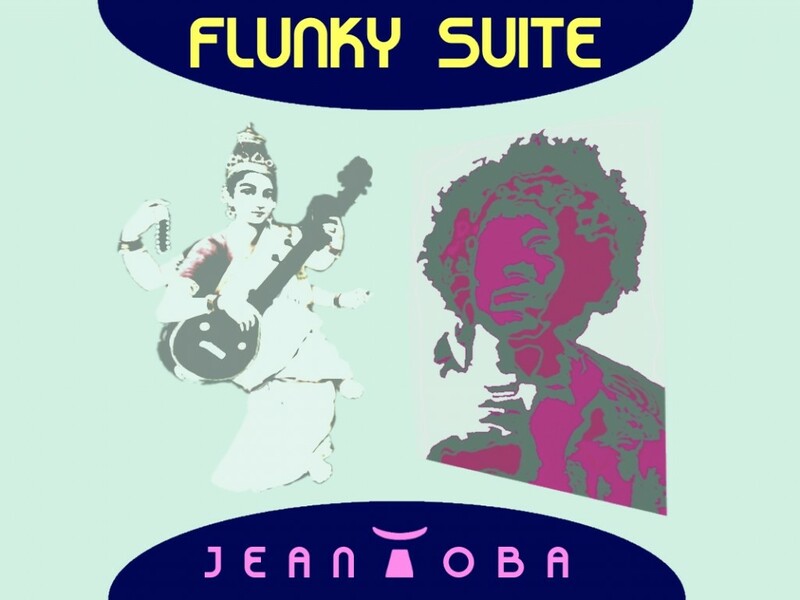 Jean Toba starts his musical walk with a quietly funk electropop ride and then explores and rediscovers the sounds of Hinduism, the saturated guitar of Jimi Hendrix, and all this from his modest keyboard. Jean Toba confides and completes his humorous presentation with an original image where Sarasvati and Jimi Hendrix figure, musical and symbolic pillars in connection with this original music and the sign of the gemini of which it is native. If i love so much music and more particularly to produce it, it is for these moments full with emotion, full with meditation which the music that I create brings to me. My music will give you other sensations, other feelings, different, complementary and sometimes, moments of happiness. This is all that i wish you, so much the music brings extraordinary moments to me. These extraordinary moments will come later to give me the courage to compose again, despite my laziness, my tiredness, my doubts and my melancholy. It was during one of these almost magical moments that i became aware that in some ways this flunky suite, mix of funk, of flute and hindustaning atmosphere returned me to Jimi Hendrix finally. It was with emotion that i discovered this amazing reality, while I was composing without the help of an electric guitar. In fact the chords, the sonorities and a theme a little bit solemn reminded me memories and more particularly the memory of the American anthem played by Jimi Hendrix and how great it was ! Jimi Hendrix had an impact on everyone who could hear him and sometimes see him in great form and very inspired as in the film Woodstock. The music and the cinema offer sometimes exceptional and upsetting moments, it’s one of them and i recommend it to you. I found another point in common with Jimi, it is the flambé ¹.
I have a big advantage over Jimi is that it makes delicious the flambé dish for a very reasonable price while a guitar is already a budget, and then if you made it flamed after a few days not only it will be unsuitable with consumption, but in addition it is a sacred bill, increasingly inflated regularly, that you will necessary have to digest with your banker. I do not advise this very expensive practice for any beginner musician, when Jimi Hendrix discovered his talents to blaze guitar he was already a star and everyone knows, that stars have big purchasing powers and many friends among the bankers. Me, my friends are more among the grocers, the poulterers, the merchants of spirits, especially of Armagnac. By the way, know that about the market of flamed guitars; a market that lends itself enormously to counterfeiting, some guitars certified flamed by Jimi, have reached tops in thousands of dollars, during auctions recommended to fetishists being in lack of smells of burning.